See, the salary schedule for teachers in Michigan puts a premium on seniority and educational attainment, so the longer you've been a teacher, the more you make. And if you have master's degree or better, you'll make even more. So what the state's average teacher salary mostly tells us is we have more veteran teachers in the state than teachers with 10 or fewer years of experience in the classroom. When you parse it out by years of experience, the average salary looks a lot different. What does the average salary look like for a new teacher? I asked the Center for Educational Performance and Information (CEPI) if they could parse out average public school salaries by longevity, but they were unable to fulfill the request. The Michigan Department of Education doesn't have that data, either. The average starting salary for Michigan teachers is $36,620, according to the most recent data. So let's look at the data we do have. A Michigan public school teacher with less than two years experience earned on average $36,620, which is less than the national average by about $1,700. A Michigan public school teacher with 3-5 years experience earned on average $38,070, or roughly $2,000 less than the national average. It's not until you hit the 6-10 year average salaries that you start to see Michigan public school teachers outpace the national average. Many new teachers never make it to six years. They burn out. They get frustrated. They don't get the support they need to do a good job in the classroom. How many teachers burn out before their sixth year? 97 percent of beginning teachers who earned $40,000 or more their first year returned to teach the next year; 89 percent of beginning teachers who earned less than $40,000 their first year returned to teach the next year. 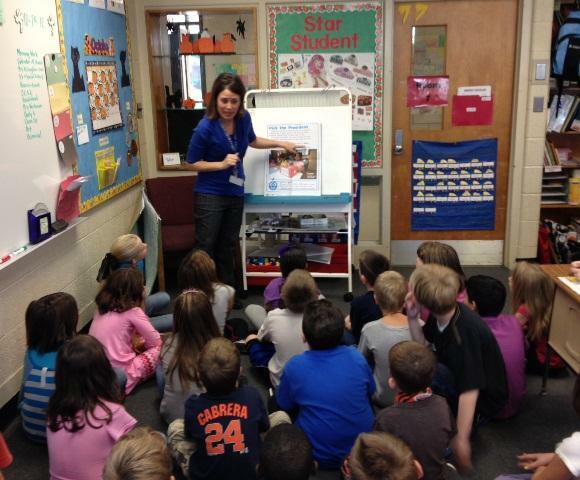 The average starting teacher salary in Michigan is $36,620. In Detroit, where there's a huge teacher shortage problem, the starting salary is even lower at $35,683. Can you attract the best and brightest with that kind of starting salary? Take math, for example. 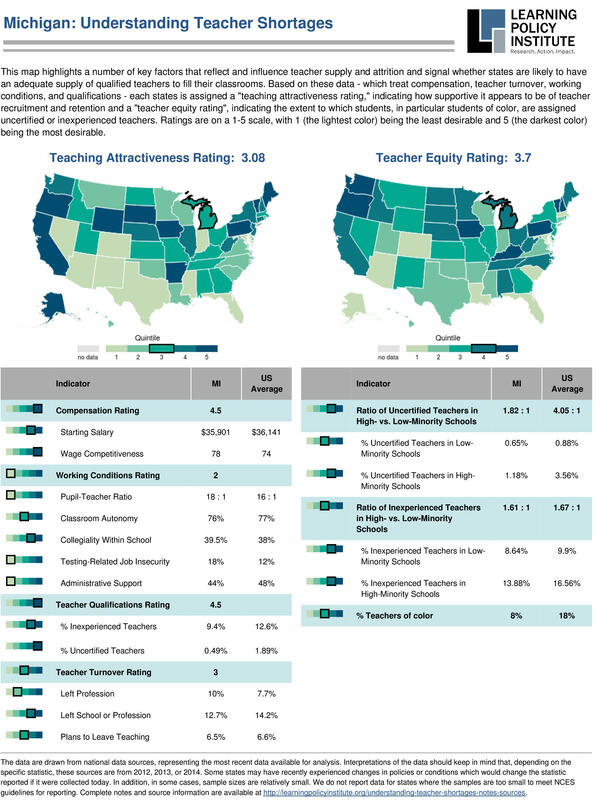 Michigan consistently has teacher shortages in math. A first year math teacher with a bachelor's degree will earn on average $36,000, but they can make double or even triple that in other fields on day one. In our next post in this series, we'll look at how teacher pay has changed over the past several years.